Great to see 8 RS Aeros out at Downs in Kent on Sunday in their Single-Hander Open, following Saturday's training day. 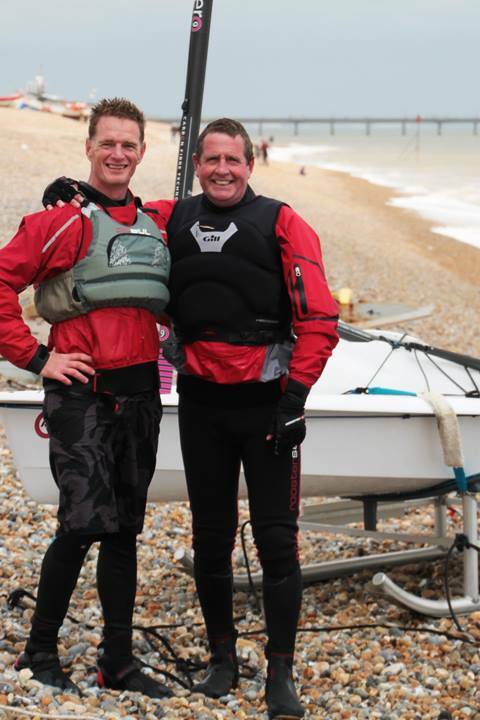 Downs Sailing Club held their first RS Aero open meeting at Deal in East Kent on Sunday the 15th May. With a fleet of 6 RS Aeros now at Downs 4 locals made it out to be joined by 4 more visitors to make a nice fleet of 8 RS Aero 7s. Initially the wind looked as if it was going to be light and 9 rigs would be the order of the day but by the start of race 1 the wind had freshened to 15-20 knots and those who had rigged their 9’s quickly changed them to a 7s, leaving everyone with 7 rigs. The waves made the off wind leg interesting enabling you to surf on the back of them down to the leeward mark. By race four the wind had dropped again and the race was shortened. Visitor, Andrew Snell from Datchet SC, led the pack winning all four races closely followed by Nigel Rolfe from Burghfield SC. Rob Freeland was the top Downs sailor in 5th closely behind Caitlin Atkin of Whitstable SC, the 1st Lady and 1st Youth.